How can you be part of the magnificent whale shark adventure? Grab your calendar and see when you can get away during Belize’s shark season. Swimming with whale sharks is on many animal lovers bucket lists - it's time to check it off of yours! Whale Sharks, the largest living fish, congregate near Gladden Spit off Placencia, Belize to feed on plankton and other spawning fish. Slow moving, filter-feeding sharks, these gentle giants typically gather only during the full moon of March - June. When in a playful mood, these gentle and curious creatures will hang around for long periods of time. Due to the Whale Sharks relatively brief travel to Placencia and local conservation efforts, Whale Shark diving is extremely limited, but we offer a rare opportunity to swim with these amazing aquatic creatures. Is the thought of diving with sharks making you nervous? There's no need to be! Belize wouldn't be one of the top destinations in the world for scuba diving and aquatic activities if we put guests in danger. Whale sharks are the largest living fish in the world and do not pose significant danger to humans. Whale sharks are docile fish and don't bite or chew, despite the large amount of teeth they have. Belize is famous for many scuba diving activities, the coral reefs and aquatic life of the Barrier reef, the famous Blue Hole, and also the gentle giant Whale sharks. There’s no other resort destination in the whole of Belize that can offer you access to all these scuba sites, except for Placencia. Gladden Spit is located near Placencia in Southern Belize is an one hour and thirty minute boat ride away. 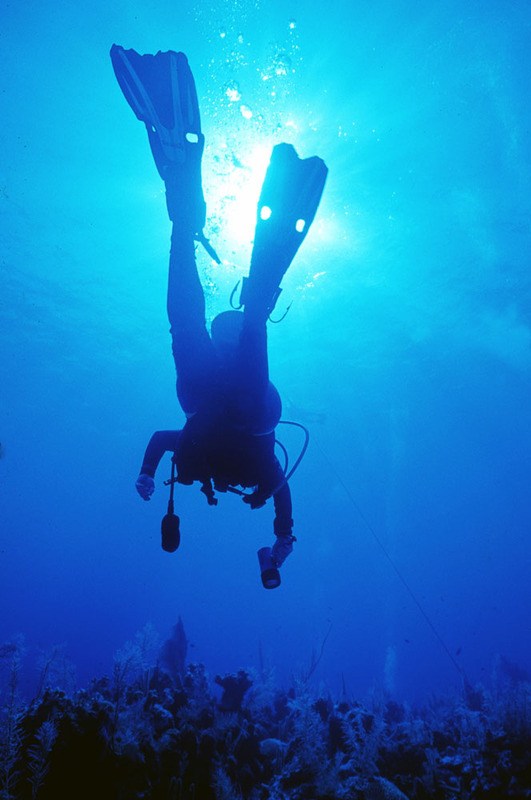 You will dive at a depth no deeper than 60 feet. This dive is conducted in the open ocean with no visible bottom. Divers get the opportunity to swim along the largest fish in the ocean, the whale shark. For the second dive, you will head to Silk Caye and see parts of the Belize Barrier Reef. The whale shark tours typically last six hours and are offered seasonally based on the whale shark migration. The whale shark season in Belize normally begins two days before the full moon and lasts until 10 days after in March, April, May and June. Whale shark tours are only offered out of Placencia, but please contact us for assistance booking travel arrangements from other locations. This is an advanced dive and is only for experienced divers. To ensure that all divers are prepared, you will need to dive with us the day before to any of our other dive sites. There we will make sure you are completely prepared for the whale shark tour!